Moving to Portugal has become very popular among expats from America. If offers something for everyone at prices that can be half of the equivalent in the US. 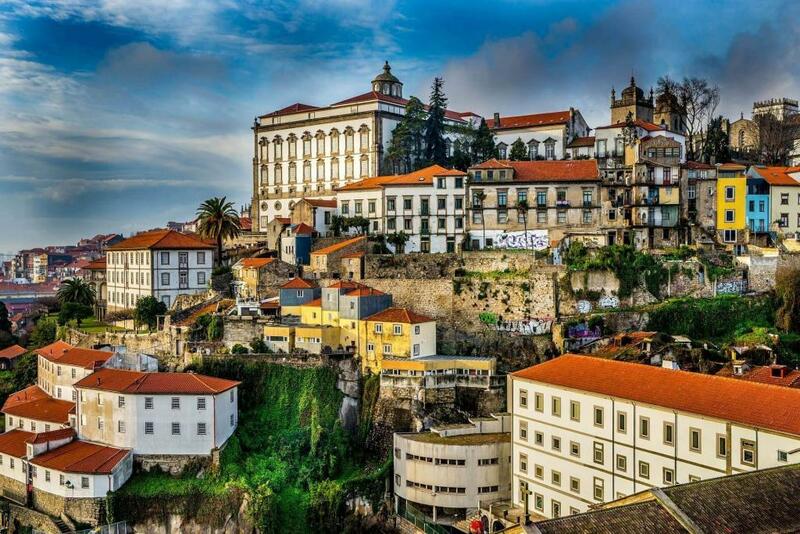 From scenic coasts to bustling cities, Portugal has become an up and coming moving destination. Whether you want to work or retire in Portugal, Schumacher Cargo Logistics can help you complete your move. SCL has been moving internationally since 1977 with over 10,000 satisfied customers a year. With our experience, we want to be able to help people complete their relocation stress free while being well informed. To learn how to complete your household goods move to Portugal, read our guide below. Despite what people believe, moving to Portugal is like any other move once you have the appropriate information. Together with our experience, we can guide you through all the steps to complete your move. Firstly, you need to estimate the amount of goods to ship overseas. We are able to offer customers the best value for their move through consolidated shipping. By sharing space with others, the price is dependent on the actual amount of space you need. The price for moving to Portugal depends on many factors, including size discussed above. Other factors include distance from the port and destination city. Since each move is different, we create custom quotes for each one. To get a quote on your move to Portugal, please fill out our Online Quote Form or call in at 1800-599-0190 to speak to a relocation expert for more in-depth details. After making the decision to ship with us, we can pick up your items and bring them to our nearest SCL warehouse. Alternatively, you can deliver them to one of our warehouses instead. Once we have your goods, we begin the consolidation process. All the household goods shipping to Portugal are gathered together for one container. When the container is full, the goods are then shipped out to sea. On the other hand if you need your items more quickly, you can opt to use a personal 20 or 40 foot container. In this case, your goods will ship on the next available vessel and you do not have to wait for additional customers. Most people choose to use consolidations though, as it gives the most value for their amount of goods. As the ship arrives, our agents in Portugal begin to clear customs for the container. They will alert you once your goods are cleared in the country. At this point you can them up from the warehouse or start to schedule a delivery depending on the service ordered. Then after receiving your goods, your move to Portugal is complete. A majority of expats and retirees will choose to live near Lisbon or Porto. The reason most people move to Lisbon or Porto is because they are the most urban and have job opportunities for expats. Conversely, people who are trying to retire in Portugal may try and live further from the main cities. No matter where you move, Portugal’s warm Mediterranean weather is sure to be nice. Americans planning on living in Portugal need to make sure their immigration plans are complete before moving. Making sure that you have the right visas is integral to successfully relocating. For more information on the right visas and steps to take, visit the Embassy of Portugal Website. Now that you know how to move to Portugal, fill our Online Quote Form to get started today.